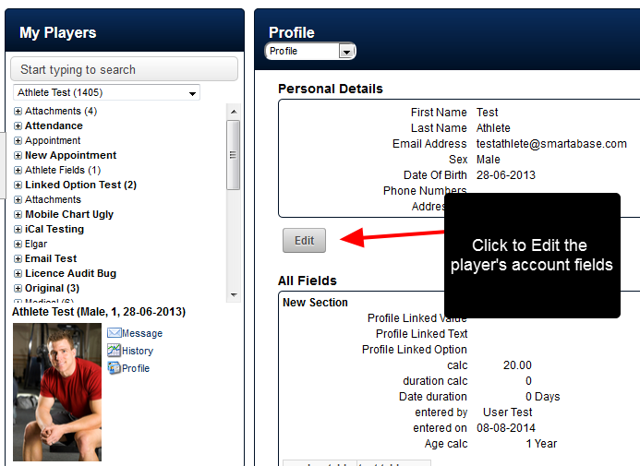 There is a new system permissions that allows users to access most of an athlete's account information from the main application. 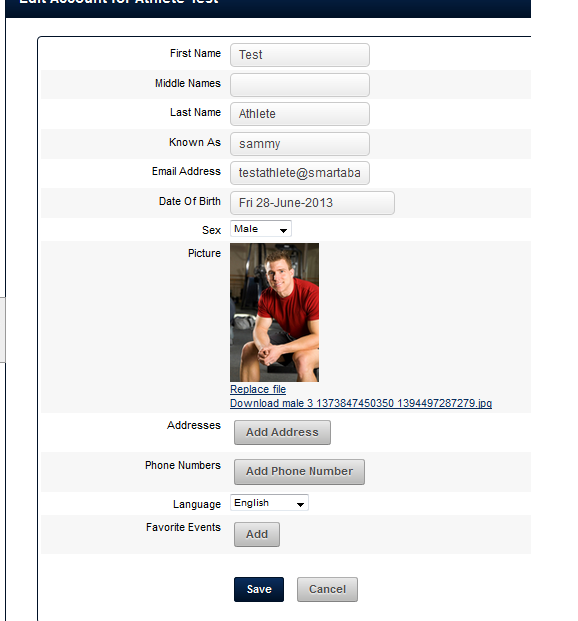 This means a user does not need administration access to update an athlete's e-mail address, or a phone number.If you have been given this system permission, it means you can edit most of the account details for any athletes you manage/access. N.B. 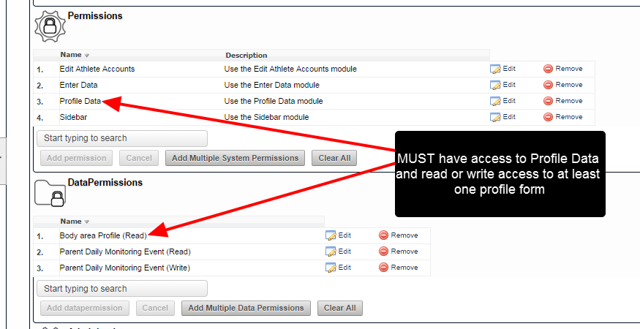 They user edit account permission users cannot change username and password, or the active and inactive account buttons. 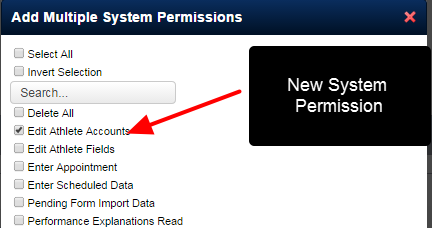 You will have access to upload and edit all of the account information apart from the username and password buttons, and the active and inactive account button. Make any changes and save the them. 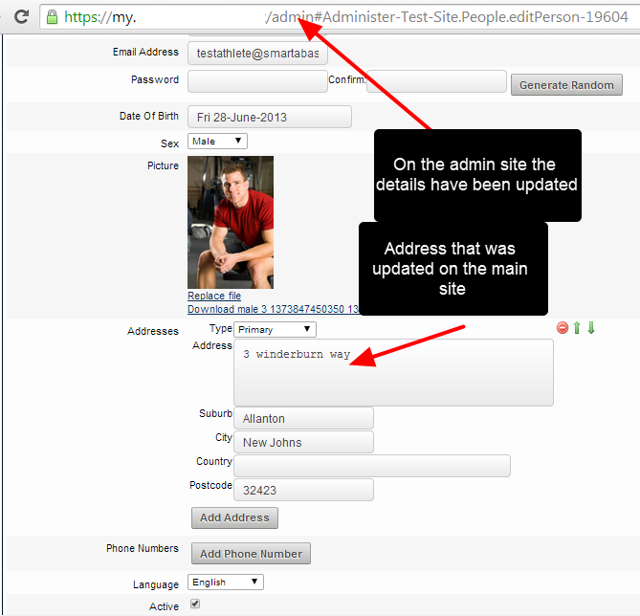 For example, a Primary Address has been added. 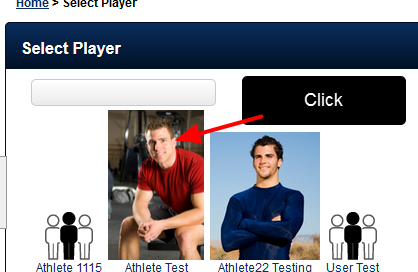 For security purposes, the coach MUST enter in their password correctly. If it is incorrect, or they try and cancel out of it, they will be logged out of the system and the changes won't be saved. Once you enter in the information and confirm the password, a green notification will appear showing that the details have uploaded correctly. 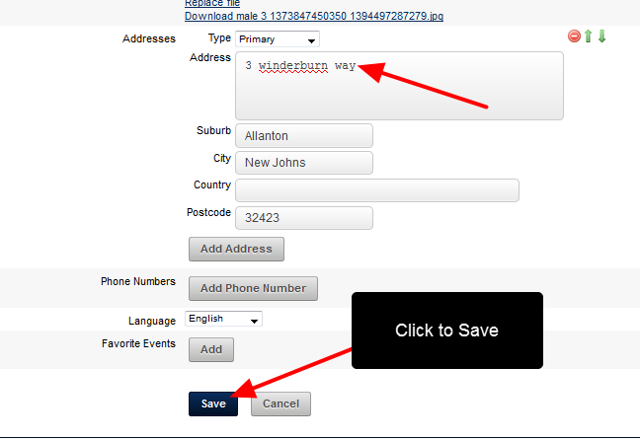 The details will be updated on any personal details fields used in Event Forms, and in other places where this information might be referenced.